Find one in the Library Catalog: search for something you like, then scroll down and see suggestions provided by Novelist. 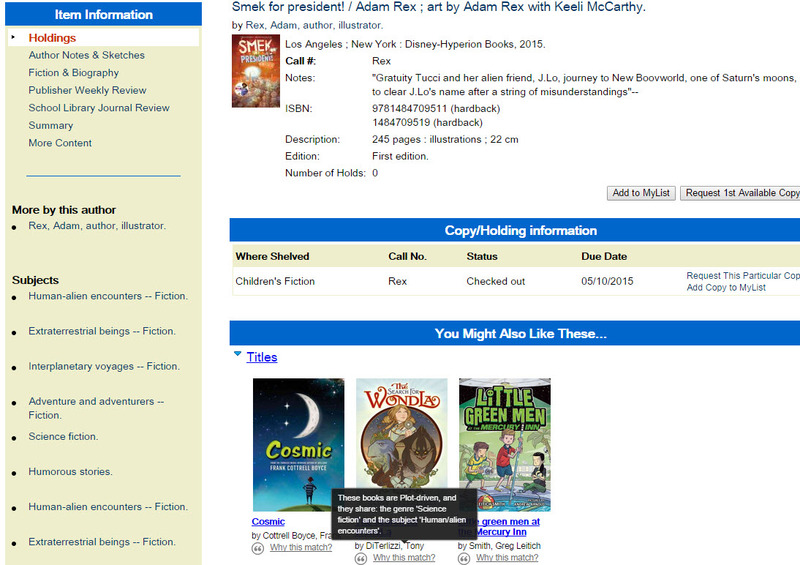 Search Novelist K-8 directly for read-a-likes, author and series information, and more. Now that we are launching the new catalog, there are lots of great ways to find new and featured content, Stay tuned for more details!